Waterfall Info: Coming from the top, this is the third and final of the spectacular waterfalls on Devil Den Creek, a major tributary of lower Panther Creek. 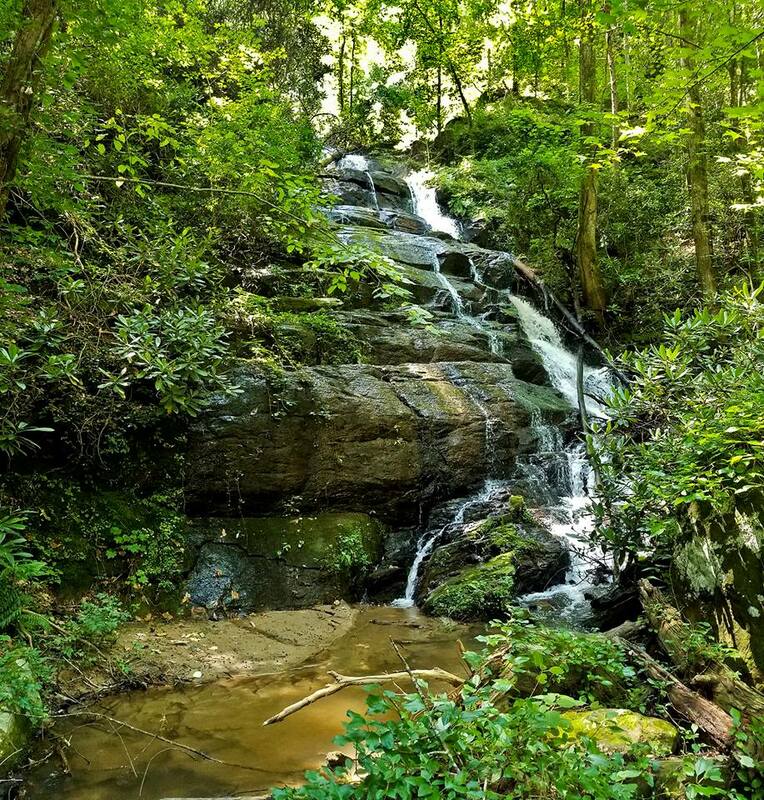 Access Info: To see this waterfall, follow Black Mountain Road and then bushwhack northward down the Devils Den Creek valley to the falls. The bushwhacking around the falls is in steep, overgrown terrain and is pretty tough.